Amtrak announced on Monday its plan for the second phase of track renewal projects for Penn Station, set to begin this winter. Between January 5 and May 28 of next year, there will be continuous single-track closures, affecting Amtrak and commuter train operation at the Midtown transit hub. While similar to the infrastructure repairs that took place for eight weeks this past June, dubbed by Gov. Andrew Cuomo as the “summer of hell,” the impact will be less severe for commuters and most of the work will take place on the weekends. The winter project requires concrete demolition and replacement in the area of Track 15 and Track 18, similar to work done at Track 10 during this summer’s repairs. Amtrak also plans on renewing and replacing three turnouts in “C” interlocking at the east end of the station. Over the summer, Amtrak began its “Infrastructure Renewal at New York Penn Station” plan, aimed at modernizing stations, its aging infrastructure and other equipment on the Corridor. This also includes upgrading the restrooms and waiting areas at Penn Station. 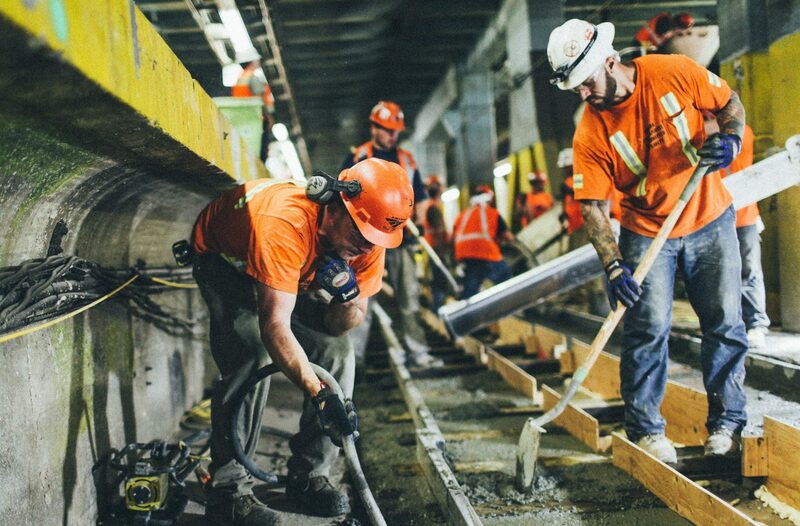 While many New Yorkers expected a summer of hell with the station’s track closures, Amtrak’s work finished ahead of schedule and with fewer disruptions than originally anticipated. “After a successful summer, it is essential that we continue to upgrade the infrastructure so that we can continue to improve the reliability of service for all the customers that use New York Penn Station,” Amtrak co-CEO Wick Moorman said in a statement. Schedules that will change include Amtrak trains that travel between Washington, D.C. and New York, northbound and southbound Keystone Trains and LIRR and NJ Transit trains. Track work will affect five NJ Transit trains per day, either terminating in Newark or Hoboken. Find which NJ trains are affected here.